Hardcover, 11 x 11 in. / 240 pgs / 12 color / 160 bw / 30 duotone. Text by Angela Schneider, Marc Scheps. In 1969, Greek-born Jannis Kounellis famously exhibited 11 live horses at Rome’s Galleria l’Attico. Kounellis, who has been living in Rome since the beginning of his career, is a pioneer of the Arte Povera movement, which originated in Italy in the mid-60s and is characterized by antiestablishment media (like street theater) and antielitist materials (like rope, rocks and discarded metal). Kounellis preferred dirt, fire, gold, burlap sacks, smoke and coffee grounds--to name a few of the substances that gradually appeared in his sculptures and installations. In 2002, Kounellis created his masterwork, “Labyrinth,” a monumental installation composed of 143 eight-foot-tall vertical iron panels surrounded by a layer of coal. Viewers can walk through to encounter traces of Kounellis’ past pieces: burlap sacks, an iron cot, coffee grounds. 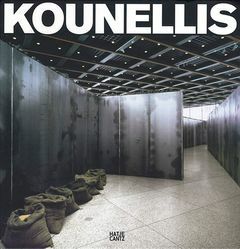 Like a trip through “Labyrinth,” this comprehensive monograph contributes richly to the understanding of Kounellis’ influential 40-year career. Edited by Hilario Galguera. Text by Bruno Corà, Carlos Lozano de la Torre, Dulce María Rivas Godoy. Text by Christophe Beaux, Jannis Kounellis, Chiara Parisi. 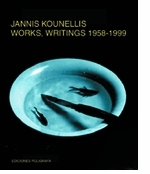 Text by Jannis Kounellis, Rudi Fuchs, Annegret Laabs. FORMAT: Hardcover, 11 x 11 in. / 240 pgs / 12 color / 160 b&w / 30 duotone.